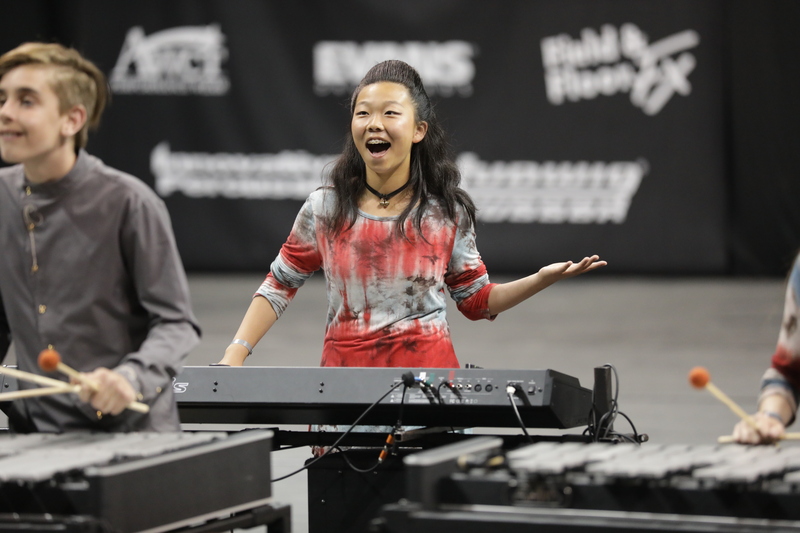 Both Prelims and Finals held at Wright State University’s Nutter Center witnessed a resurgent class with most ensembles showing up with increasingly larger batteries of keyboard instruments. Five and six marimbas are no longer a rarity, as are four sets of vibes. When the class first started prior to the new millennium, a lot of schools were happy to just have one marimba and one set of vibes. 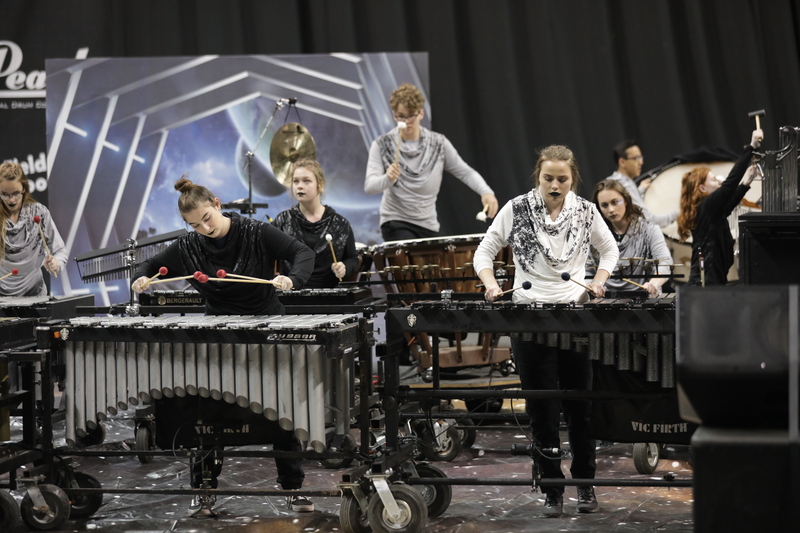 The increased visibility of the marching band movement and WGI Percussion has turned percussion sections into veritable percussion orchestras. 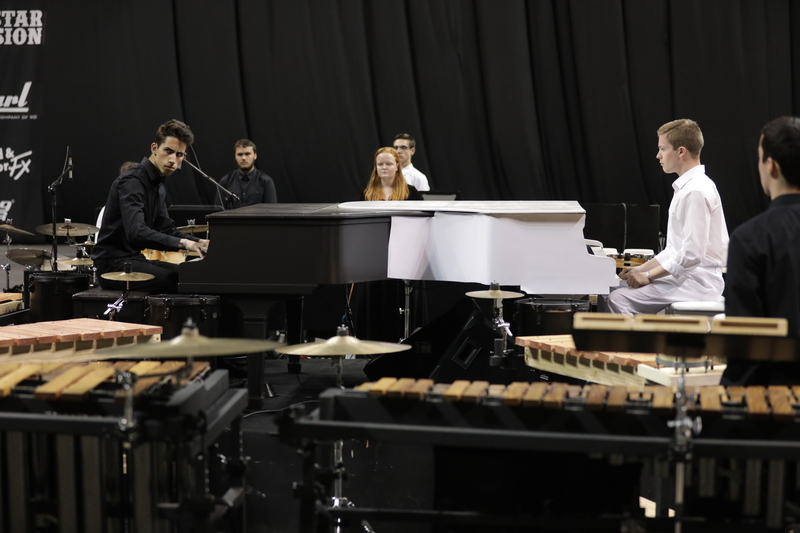 Fishers HS (IN) (Gold – 94.850) brought out two synthesizers built into frameworks of attached grand pianos for “Skin n’ Bones.” Half the members wore all white and half wore all black—the two colors of piano keys. African log drums emphasized the bones segments, with “skins” represented by assorted drums (the heads often referred to as skins). The show continuously blended between the two contrasting elements. 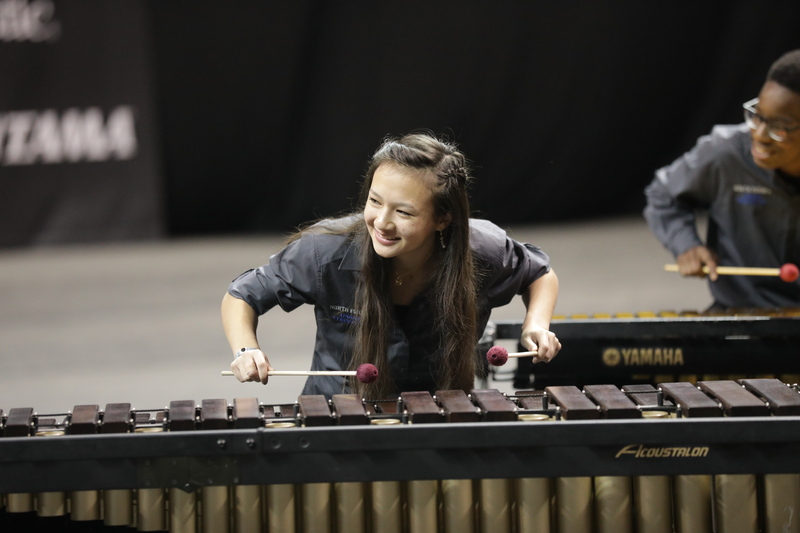 North Forney HS (TX) (Silver – 94.400) explored the concept of “Breaking Free” from one’s personal demons. The show opened solemnly before descending into the anguish of “Danse Macabre,” advancing into the calming comfort of “It is Well With my Soul,” giving thanks for becoming liberated from one’s fear. The show ended with the celebratory strains of Glinka’s “Russlan and Ludmilla,” with “Life is full, life is fun” proclaimed over the loudspeakers. 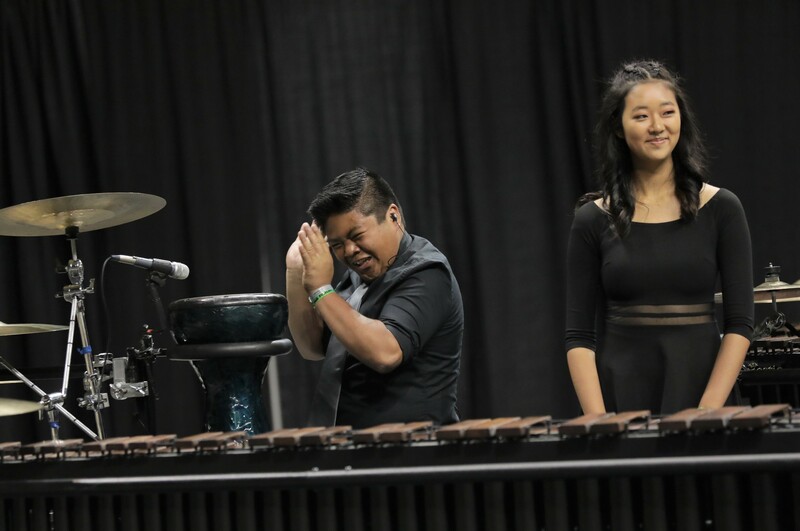 “Chamber” of Ayala HS (CA) (Bronze – 93.325) started with just intense drumming prior to the mallet keyboards moving into position. The frequent re-arranging of keyboard placements into different pods was of continual visual interest. Music crested and ebbed continuously, over and over, with the swells seeming to be just about inundate everything, like a tsunami before receding. The mysterious “Gestalt” of Tomball HS (TX) (4th – 91.525) had no storyline or props, with John Adams’ propulsive “Short Ride in a Fast Machine” as the musical center of the show.  To oversimplify, “gestalt” is defined as a whole being greater than the sum of its parts. To this end, the little segments of music that aurally dotted the show coalesced at the conclusion for the final statement. Japanese screens as backdrops and a heavy use of wood instruments highlighted “Bamboo Grove Spiritual” of Plainfield HS (IN) (5th – 90.650). Keiko Abe’s serene “Wind in the Bamboo Grove” was supplanted by the flurry of Minoru Miki’s “Marimba Spiritual,” ending with the screens parting to reveal nine bass drums (as taiko drums) and a flurry of spinning copper metallic flags. 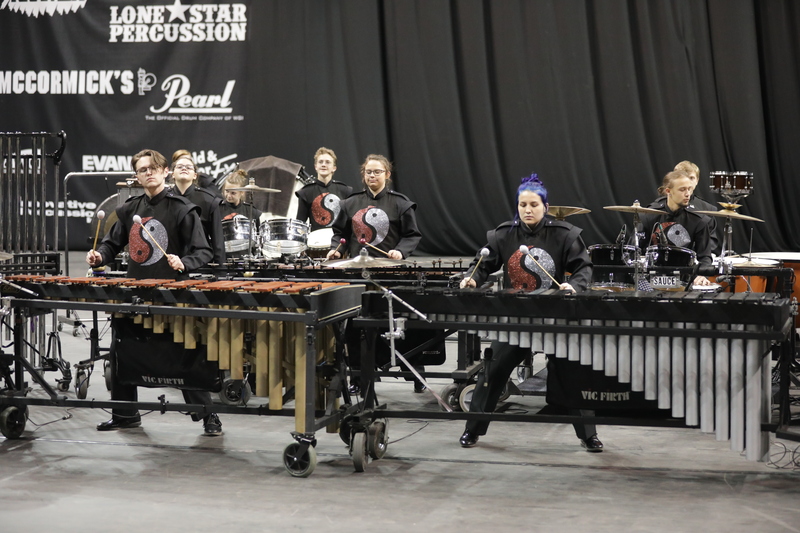 The Muscle Shoals HS (AL) (6th – 87.150) program of “The Four Seasons Recomposed” put a new spin on Vivaldi’s classic work, with each set of percussion instruments set in one of four colored pods for each of the four seasons. Of particular interest was the use of solo wind players to feature each one of the seasons, each movement interpreted by a single non-percussion instrument, including flute, trumpet, also saxophone and euphonium. 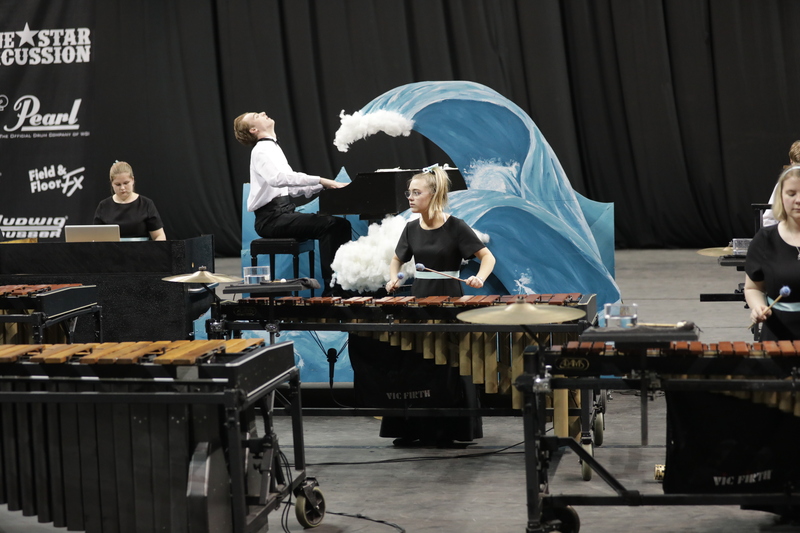 Campbell County HS (KY) (Gold- 94.650) “Submerged” itself under the sound of pounding waves crashing ashore—the crescendo of chords driving Debussy’s “Sunken Cathedral” further into the deep. When the waves of the tumultuous ending hit shore, all instrumentalists dove behind their instruments in an attempt to protect themselves from the coming deluge. East Lincoln HS (NC) (Bronze – 92.700) performed a show titled “Fusion,” so named for grafting quite different musical selections upon each other. For example, Debussy’s atmospheric “Clare de Lune” was set over the repetitive rhythmic pulse of Ravel’s “Bolero,” and snippets of Copland’s “Appalachian Spring” were set over an unexpected industrial beat. “Momentum” of Corinth Holders HS (NC) (4th – 89.725) was chock full of forward momentum, but was somehow restrained from going totally off the rails. The volumes were carefully held back, leaving one to wonder where things were going next. A clapping feature highlighted the end of the show, once all of the momentum was spent and there was nowhere left to go. 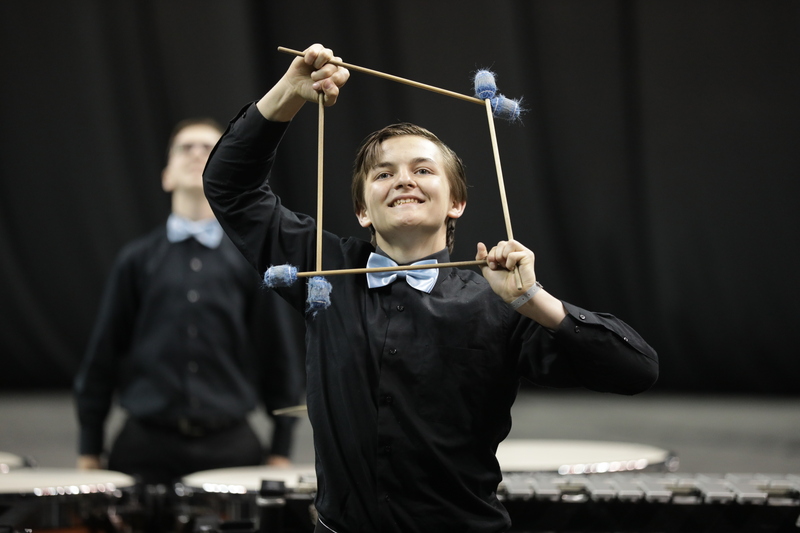 “Voices” of Broomfield HS (CO) (5th – 88.650) was extremely laid-back and self-reflective. Included in the production were strains of Simon and Garfunkel’s “The Sounds of Silence,” a piece that effectively conveys loneliness unlike any other. The show was based on hearing voices in one’s head that may not have had one’s personal best interests at heart. The steampunk look of “Retro-Future,” performed by Arapahoe HS (CO) (6th – 88.05), blended classical music with a more modern twist.  The gist of the production was to look to the past to see where the future might be going, though the show was more for the sake of the music than that of a preconceived storyline. “Truth or Consequence,” performed by Powhatan HS (VA) (7th – 85.200), alternated between music that was happy and music that was ominous in character. This was one of the least programmatic shows of the competition, leaving it to the audience to determine the meaning of the show. 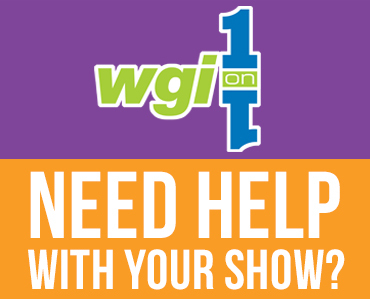 “Rain” was the theme of the atmospheric show produced by Goshen HS (8th – 83.500). Quite atmospheric, like a lazy stroll under a gentle pitter-patter of a spring shower, the show was relaxing until the torrential downpour at the end, portrayed by a rousing intensity that washed away all prior movements. Price Charter School (CA) (Gold – 93.750) won the class with “Secret Lives,” a program that kept secret what the title meant. Sounds of banjo picking were heard at the start, followed by a tender ballad and ending with a high intensity jig. Of impressive special note is that Price is a middle school—with an average members age much less than any other ensemble in the Concert classes. 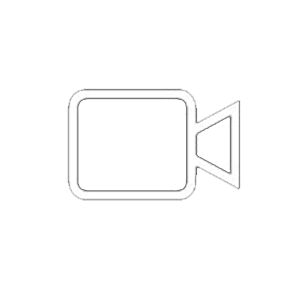 Penn-Trafford HS (PA) (Silver – 91.250) took viewers on a “Space Race,” accompanied by space scenes of planetary orbs and a space station, with the floor dotted with stars. Eerie sounds of exploration were interrupted by throbbing drums of impending danger, enhanced by the electronic howling of a theramin. 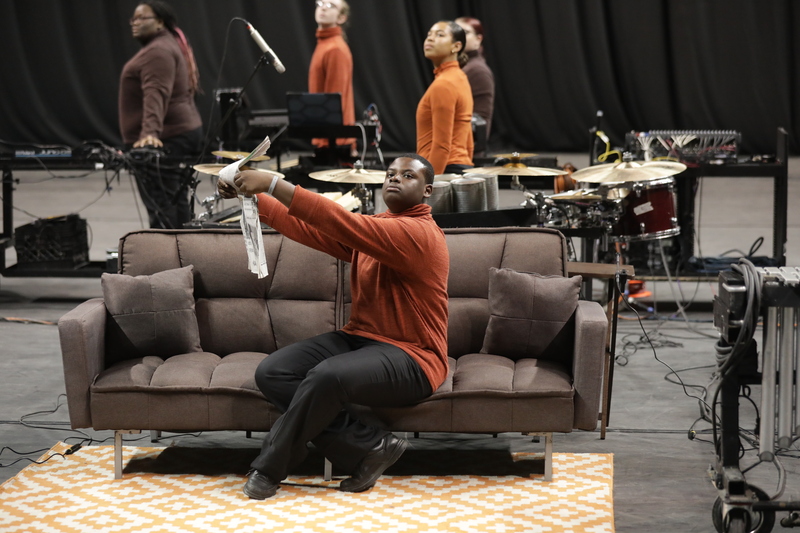 “Living Room Music” of Rahway HS (NJ) (Bronze – 85.950) was based on Saint-Saëns’ “Aquarium” from “Carnival of the Animals”—in essence, setting up the aquarium in one’s living room. The crinkling of newspapers created a sort of underwater sound, and hand props of fish left no doubt what inspired the show.